Looks like the Great Firewall of China has blocked a big one. It appears that the Chinese government has blocked Gmail, Google's immensely popular email service. 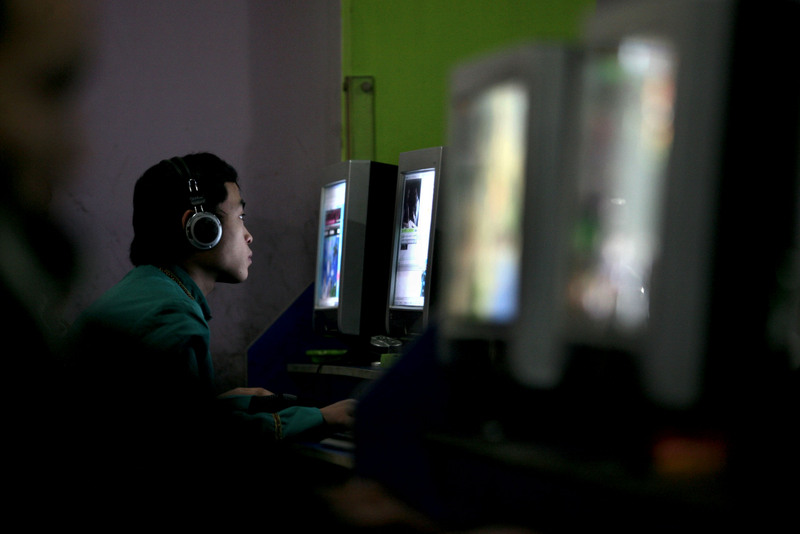 Chinese users haven't been able to directly use the service for months, in fact, but they'd been able to download Google emails through third-party email clients — that is, until Friday, when censors blocked access to those as well. It may be an extreme move, but it's not a surprising one, given China's tumultuous relationship with Google. But in a world where people laugh at you for having anything but a Gmail account, the move is sure to affect a large number of people and businesses. According to Greatfire.org, an Internet freedom advocacy group, the Chinese government first blocked web access to Gmail in June, around the 25th anniversary of the Tiananmen Square protests. Since then, Chinese users have had to use third-party email software like Apple Mail and Microsoft Outlook to download their emails from Google. However, users began to notice on Friday that they were no longer able to download emails from their Gmail accounts using these email clients. Google's Transparency Report showed that traffic to Gmail in China dropped drastically beginning on Friday and plummeted to nearly zero on Saturday. Taj Meadows, a spokesman for Google Asia Pacific, told the Associated Press that Google investigated into the matter and confirmed that "there's nothing technically wrong on our end." There is one very likely explanation for the sudden blocked access to Gmail: The Chinese government has flexed its Great Firewall once again. Google is likely not in the least bit shocked by China's latest move, since the tech giant has always had a contentious relationship with the Chinese government. In January 2010, Google confirmed that its systems had been attacked by hackers they traced to China. In response, the tech company threatened to close its mainland China search engine, also citing the country's strict censorship rules as a major reason. In March 2010, Google made good on its threat and shut down its mainland search engine, instead directing Chinese users to its uncensored search engine in Hong Kong. The Chinese government's block is likely an attempt to pressure Chinese users to stop using Google products and switch to domestic companies, like Baidu, that are willing to abide by censorship laws. However, the inability for Internet users in China to access Gmail is extremely disruptive for students and businesses who use Google for corporate email accounts. It remains to be seen how the block will affect business in the long term, but for now those who rely on Gmail still have one last way to access it. Users can install VPNs (virtual private networks) to access Gmail — presumably until the Chinese government finds a way to block VPNs as well. Google can take some comfort in the fact that it's far from the only website censored in China. Internet users in China are also blocked from viewing Facebook, YouTube, Twitter, Instagram, the New York Times website, and Bloomberg News. That would be quite an adjustment for Western teens who move to China.